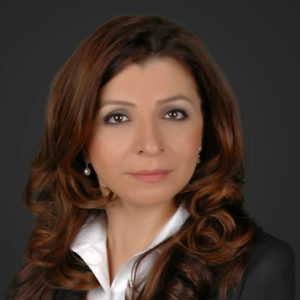 Zena Habboush is Chief of Staff at Habboush Group and is responsible for the administration and corporate compliance functions of the company. In her capacity, all administration-focused departments report directly to her. Ms. Habboush was initially hired by Habboush Group to lead the Information Technology Department as its Director. At that time she overseeing technology infrastructure, network security and maintenance of all computer systems. Prior to joining Habboush Group, Ms. Habboush worked at the national headquarters of the American Red Cross (ARC) in Washington, D.C. She spent more than a decade with the organization as an instrumental member of the organization’s information technology group. She supported the strategic initiatives of ARC’s technology platform including, but not limited to, the national blood network system. That work in particular earned her national recognition and an award from President George W. Bush for her outstanding leadership and dedication to the United States during the tragic events of 9/11 and the devastation of Hurricane Katrina. During these catastrophic incidents, she led her team to manage and ensure the uninterrupted operation of national blood network system to provide for the immense number of American casualties. The Honorable Elizabeth Dole, former President of the American Red Cross, also commended her for technical contributions. Along with her solid working experience in project quality management and assurance, Ms. Habboush gained many years of IT experience at CIBER Inc., a global information technology company focused on providing the U.S. governmental sector with application development and management. Ms. Habboush spent over three years involved in CIBER’s information technology infrastructure management and systems integration services. Zena Habboush also has experience in the EPC sector as a civil engineer. She holds a Bachelor of Science in Civil Engineering from the School of Engineering at Catholic University and a Master of Science in Information Systems from American University.